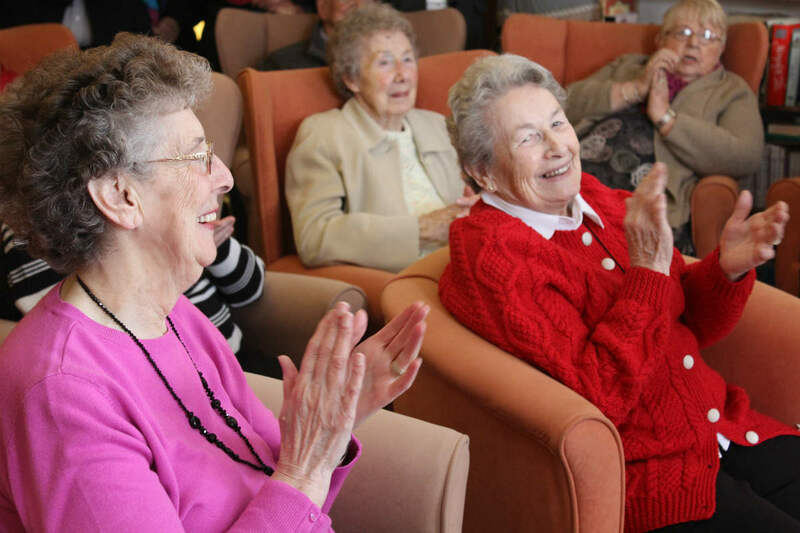 Music Therapy researcher Dr Jeanette Tamplin’s latest study will examine how singing can improve the lives of dementia sufferers and their carers. The 20-week study, starting in March, will be facilitated by registered music therapists and meet weekly to sing old favourites, new songs, connect with others and share afternoon tea. The research model was piloted at Austin Health last year and preliminary results indicated great benefits both for people with dementia and their family members or carers. Melbourne Conservatorium of Music Research Fellow Dr Jeanette Tamplin is leading the study and said the most surprising thing about pilot was the great benefits reported by carers. “The carers all commented on the inclusiveness of the group and the overwhelming sense of support and understanding from the other carers. They also got so much joy from connecting with their loved one through music,” Dr Tamplin said. Not-for-profit aged care provider Uniting AgeWell is assisting with the study by hosting the groups at seven of its sites in Victoria and Tasmania. Uniting AgeWell Special Projects Manager Carol Fountain expects the group to provide an avenue for older people and their carers or family members to form stronger bonds. “When people living with dementia come to a day centre for respite, quite often they don’t have the capacity to share what happened on their day out. This program allows the carer or family member to share something meaningful and introduce music they enjoy with each other as well as the rest of the group,” she said. “This is something the carer or family member and the person with dementia can experience together,” she said. The University of Melbourne is now seeking research participants aged 60 or older, who have been diagnosed with dementia and are still living at home together with a family member or carer. Once recruited, participants will be randomly assigned to either a Remini-Sing group or a waitlisted control group who can join a Remini-Sing group after the study, if they wish. Health and wellbeing assessments will be completed with each participant prior to the beginning of the study, and at weeks 10 and 20, to measure the benefits of the group. Visit the Dementia Australia Research Foundation for more information about the study and how to register as a participant. I am profoundly deaf from birth and use Sign Language an very very little sound that I can get from hearing aid. I am interested in this work you do with hearing Elders and wonder g how we could chat on email re Deaf Signing Elders who love to “Sign Sing” like me. In addition if teaching elders with hearing the signs of the song words to sign along with us deafies would also enhance new learning and sustain memory to a greater margin signs may also be helpful for those who have become none verbal but still visually attentive.